If you own a restaurant, you might attribute Orange County shade sails to outdoor playgrounds and parks or even commercial business that focuses on outdoor services including washing cars. However, shade structures can also offer a lot of benefits to restaurants. As a matter of fact, since the industry of food service is always struggling due to increased competition, changes in the consumer habits, and rising costs, restaurants may benefit from installing shade sails. During summer, fall, and spring months, outdoor seating may attract more customers, which can be helpful in increasing customer spending. As a matter of fact, statistics also show that restaurants with a patio or deck may increase revenue by up to 30%. The reason customers were attracted to the outdoor spaces derives from the allure and comfort of dining al fresco, which may be aid through shade sails. Most restaurants forget that customer experience begins at the moment they walk through their door and throughout the whole duration of their wait for the table. 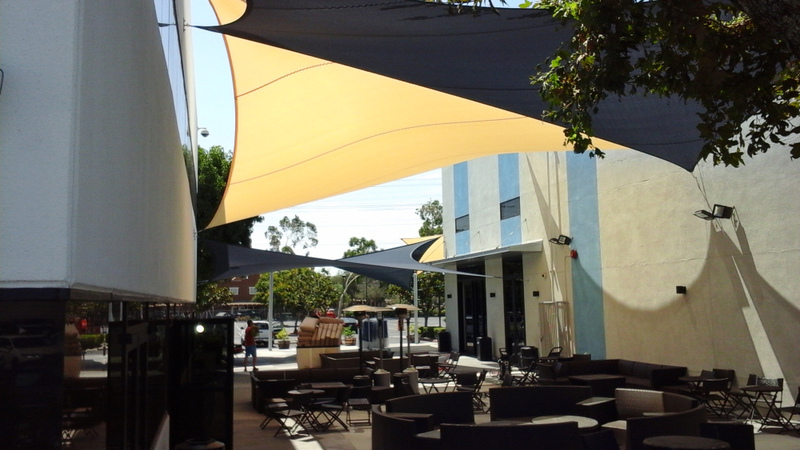 Shade sails may contribute to better customer experience through offering more space for customers to relax, drink, and talk as they wait for their food. 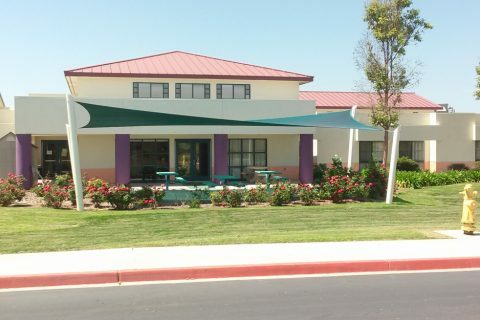 Whether you’re attracted to aesthetics or functionality of shade sails, Orange County shade sails can improve the curb appeal of your restaurant in a good way. Available in different attractive colors, shade sails will make your restaurant more engaging and noticeable to the new customers. 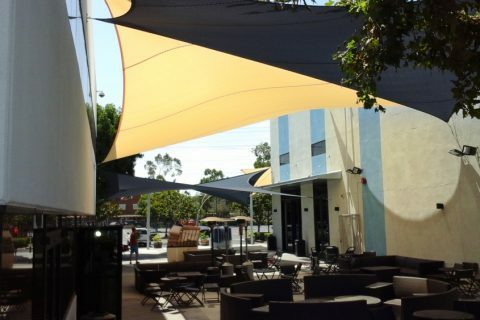 Shade sails can help you maximize your customer seating through offering an outdoor option, particularly during summer months or for restaurants situated in warm climates like in Orange County. Shaded rooftops and outdoor patios will remain cooler and would protect patrons from the sun. They could also offer rain protection, enabling you to maximize the seating options, regardless of the weather. 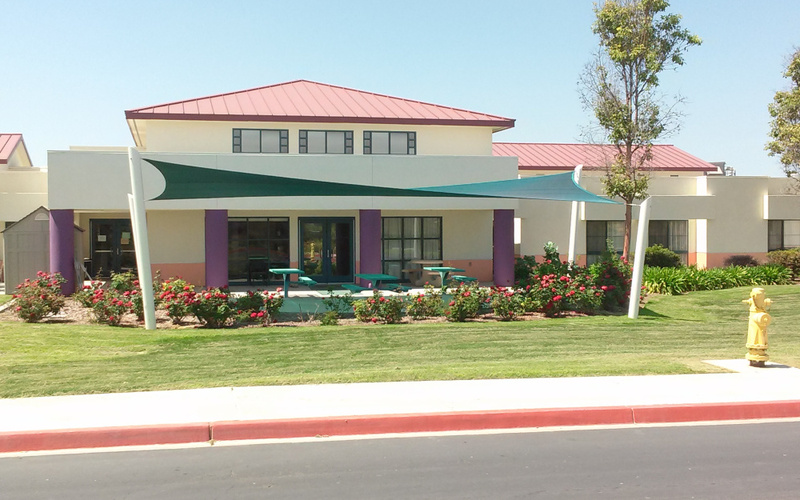 OC Shade Sails is the best when it comes to quality restaurant shade sails that are suited for your needs. It has a team dedicated to make quality and durable shade sails made with world class materials with cutting edge technology. OC Shade Sails knows that the restaurant game can be fierce with various eateries and bars vying for the attention of customers, trying to make that one dish, and defining ambience that would entice the diner into their establishment. So, if you want your restaurant to stand out among the rest while providing comfort with style to your customers, it’s time to consider shade sails to your establishment. There are various styles and designs you can choose from when it comes to Orange County shade sails for restaurants. The only thing that you need to do is to pick the one that would match your preferences or needs. If you are confused with the options, OC Shade Sails can help you choose the perfect one!